Pro Soccer Camps and DPSoccer Academy are pleased to announce the Bolton Wanderers International Player ID Camp. Bolton Wanderers Football Club, of the English Premiership, will be running the week long residential and commuter camp open to players 8 –18 throughout Canada and the U.S.A. This Elite Player ID Camp running July 18-22, 2010 will provide Bolton’s International Academy Staff the opportunity to access the technical, tactical and overall fitness levels of North American players. 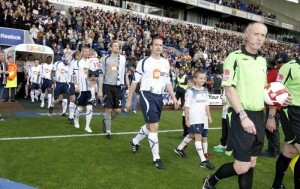 The camp will give players the opportunity to work with world-class Bolton Wanderers’ coaches. At the end of the week the coaches will select 3 players who will be eligible to travel to England in November and participate in the 5 day/4 night Grand Skills Final. During the Grand Skills Final players will be assessed by Bolton Wanderers coaches and scouts from various English Premier League clubs. Bolton Wanderers International Academy is committed to helping young footballers raise their technical, physical, mental and tactical skills to the highest possible standards by providing an enjoyable, exciting and stimulating environment. We also strive to develop the players’ sense of self-esteem, motivation and desire to learn via coaching and education.